Well anybody coming here should already know that...but I guess there's always the lone idiot who fries his eyeballs and blames teh intrawebs. I've been unable to find any info on this on these forums or Google. If I missed a thread, I won't take it personally if you just post a link to that as a reply. What I'd like to have is some sort of durable housing with diffraction grating(s) inside it. Ideally, I'd love to be able to stack and rotate the gratings, either across different housings or integrated into one housing that allows rotation of the gratings. Motorizing this rotation may also be of interest. This could be anything from a cap-style housing that would go over the emitting end of the pointer (this would be the easiest to use in a handheld situation, though I would be limited to one laser through it), to a small square or disc shaped device, to the pieces required to manufacture such a device. If you haven't guessed, the idea is to be able to create a kaleidoscopic laser effect. I want it to be durable enough to survive in a pocket with keys in it, for example. My pathetic, impulse home-grown attempt ended in failure as superglue wound up between two gratings. I have bought a 100mw laser pointer from this website, free shipping, it looks very good. Black Styrofoam (or any color styrofoam if you have a 405nm of enough power). I have found that foam on the bottom of regular mouse pads melts under anything that's two-digit power in mW. 445nm will make a wonderful mess out of it too. I haven't seen this one mentioned yet, so I thought I'd mention a neat item I picked up the other week. It's a TO-18 socket. It's great for testing diodes without needing to solder to the pins. It even grabs the short pins on the 405 diodes from the SF-BW512P sleds. I bought mine for a couple bucks from a place called Mike's Hobby Shop, but I think they're available from various electronics places on the net. The common part number seems to be NTE417. NICE POST!That's a good start for a newbie like me. I prepare to collect more and more "must-have"equipment and supplies for my laser. @Willpulier go spam the Disney forums you douche bag. I didn't see this item on the list, so how about adding a simple SPECTROMETER to this list. 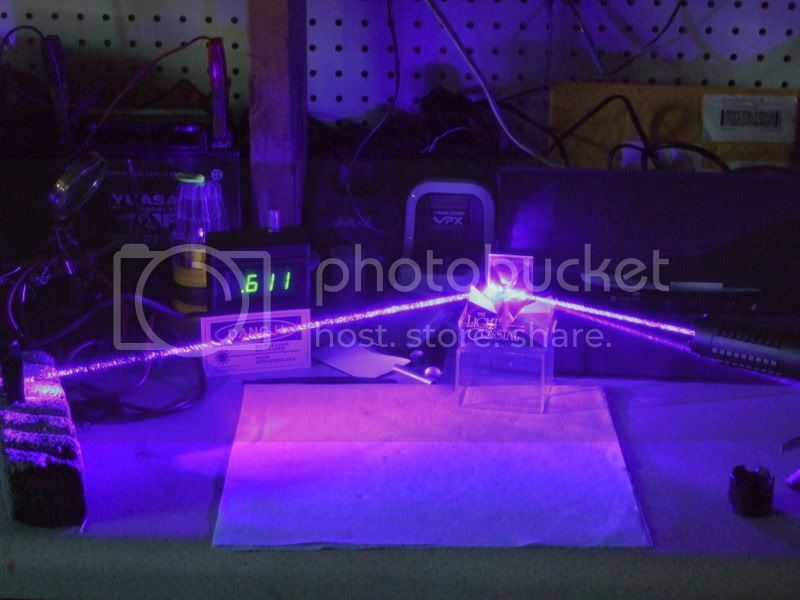 With it, you'll be able to tell the exact wavelength that each of your lasers is generating. I have one for sale right now in the B,S,&T Section of the Forum. It's simple to use, accurate to +/- 5nm's. Brand new condition, & I'm selling it for $30.00 with next day shipping.